﻿﻿ SAS Management Inc.ITIL® - IT Service Management - SAS Management Inc. 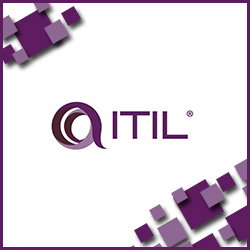 Developed by the Cabinet Office, ITIL (IT Infrastructure Library) is the most widely accepted approach to IT Service Management (ITSM) in the world, with more than 2,000,000 certified people, as it provides a cohesive set of best practices, drawn from the public and private sectors worldwide. ITIL enables you to fully benefit from proven best practices in IT and is relevant to anyone involved in the delivery or support of IT services. ITIL is aligned with various international quality standards including ISO/IEC 20000 (IT Service Management Code of Practice) and has been adopted by thousands of organizations worldwide, such as NASA, the UK National Health Service (NHS) and Disney™. Beginning 11 February 2019, ITIL 4 will be available in the Philippines, brought to you by SAS Management, Inc., the first to be accredited in the country. SAS Management Inc. is a contributor in the new ITIL 4 along with many significant organizations and professionals in information technology around the world. SAS Management has been the trusted training organization for the ITIL 2011 all these years and have certified tens of thousands IT service management professionals not only in the Philippines, but also India and Malaysia. The modular structure makes the certification more flexible, thus more accessible and achievable. Each certificate carries a number of credits towards the advanced level qualifications. A minimum of twenty-two credits is required to achieve the ITIL® Expert level qualification. Point your cursor on the desired area to magnify it. Everything You Wanted to Know About ITIL® in Less Than One Thousand Words!